This guide outlines the steps within Clear Books an expense can be accounted for that is due to be paid sometime in the future. Navigate to the Settings > Accounting > Account codes menu. 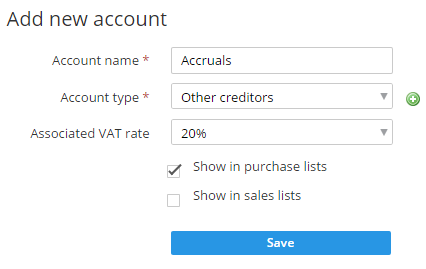 Create a new account code called Accrued Expenses under the account type Other Creditors. Navigate to Purchases > Bills. Click on the Create bill button. 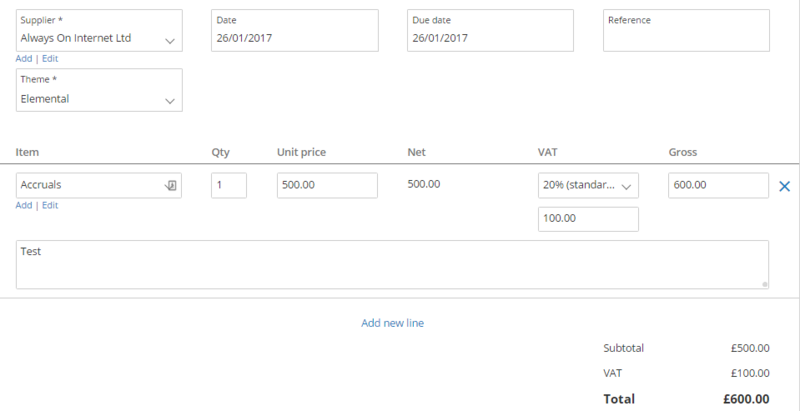 Create a new bill for the purchase - make sure to select Accrued Expenses as the account on the bill and add VAT as appropriate. Confirm the bill at the bottom by hitting the Save button. Navigate to the Tools > Journals > All journals menu. Click on the Create journal button. Create a journal which will Dr Expense on the P&L and Cr Accrued Expenses on the Balance Sheet. Click on the Post journal button to complete. Alternatively, you can set up a recurring journal to spread the cost over a period of time.